ABC canceled Roseanne on Tuesday after its star Roseanne Barr sent out a tweet saying that former Barack Obama adviser Valerie Jarrett was the child of the Muslim Brotherhood and Planet of the Apes. Although Roseanne would later claim it wasn’t, everyone with a brain knew that the tweet was racist, and ABC acted accordingly. The network—more specifically, ABC Entertainment President Channing Dungey—was widely praised for moving to cancel the show. This was strange considering that the show was green-lit in the first place at least somewhat based on Roseanne’s widely known political views, brand of comedy and the legion of “Make America great again” warriors she would draw for network ratings. ABC’s hands aren’t clean in this mess; the network gave voice to the sometimes dangerous brand of “comedy” that Roseanne was already espousing on her Twitter account. The network’s cancellation of her show was not so much about punishing her for making a racist comment as it was about distancing itself from her and her racist comment. This latest news tidbit proves that. TMZ reports that ABC is in the process of figuring out how to rebrand the reboot and keep it on the air. The show would be focused on Roseanne’s youngest daughter, Darlene, who is played by Sara Gilbert. Sources tell TMZ that producer Tom Werner of the Carsey-Werner Co. is involved in the possible reboot, which is said to be an effort on ABC’s part to salvage the jobs of the writers, crew and others who were on the losing end of the deal when the show was canceled earlier this week. ABC’s “noble” efforts aside, this is a doomed prospect—for several reasons. It doesn’t matter how the story gets rewritten; the specter of Roseanne Barr is always going to be there. 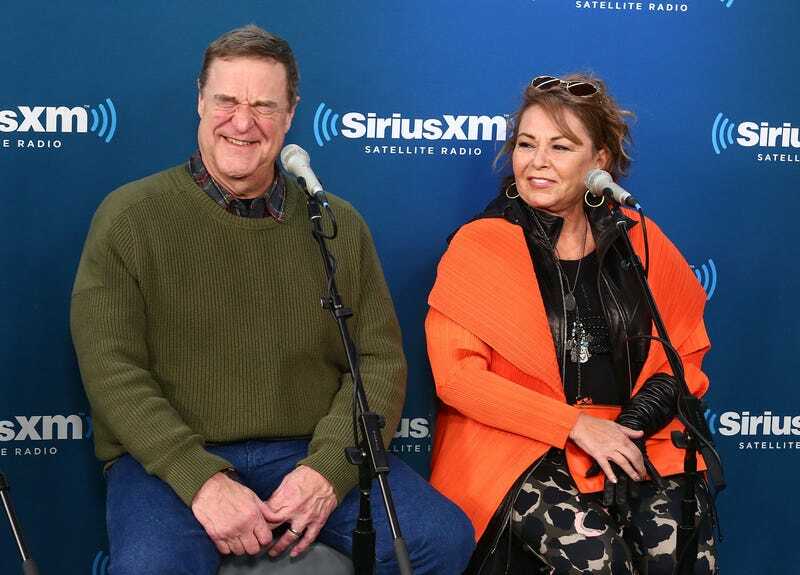 You can try to build the show around Darlene, but Darlene is still Roseanne’s daughter, and even if Roseanne is not there physically, she will always be there in spirit. None of these other characters would exist without Roseanne. They are indelibly tied to her. There is no erasing her. Furthermore, the large viewership that the new show amassed was due greatly to Roseanne’s publicly personal politics. She was a dog whistle to a certain base, and that is who was tuning in to see her every week. You aren’t going to appease them by remaking the show in Darlene’s image. Darlene’s politics have already been established as not being the same as Roseanne’s. You gave the “MAGAs” a queen to look up to in Roseanne, and now you have taken her away from them. There’s no reason for them to keep tuning in, and fans of the old version of the show—fans who probably loved Darlene as their favorite character—have already been betrayed by you with the “MAGA” version of the show, so they aren’t going to watch it, either. Face it, ABC. You blew it. That Roseanne horse is dead, and no amount of beating it is going to bring it back. There’s probably not going to be a way for you to keep profiting off of Roseanne’s brand without involving Roseanne in it.